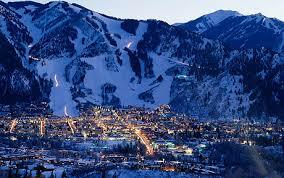 Aspen – the upper-crust alpine village high up in the Colorado Rockies – is a beautiful place to visit. Make that a stunning place to visit, if you wipe away everything you find on the surface. Aspen is for the obviously-wealthy, whether a night at a hotel ($350 and up, just about anywhere), dinner for two ($250 and up – the finer restaurants), a slope-side condo rental ($2,000/night), or any purchase in any of the village shops; the kind of retail you only find in London-Paris-Rome-New York. You won’t see any of Aspen’s residents (probably because they don’t care to see you). Drive past the nearby airport and you’ll see an impressive line of commercial planes… er, make that private planes. Aspen is made of money – no different than its silver-mining days of old. Now, as instructed, take the chalkboard eraser and wipe, wipe, wipe away all of that excess. Dust off your hands and stand back. 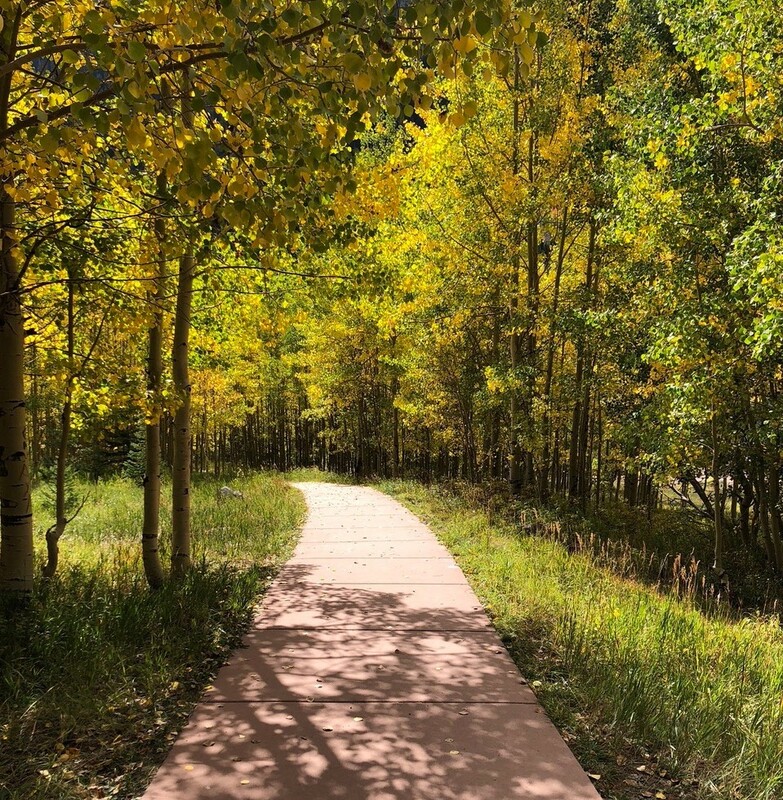 What remains of Aspen is its incomparable natural beauty, whether the towering Rocky Mountains on all sides, the rushing Roaring Fork river through town, or the stately aspen and bristlecone pine trees forming an umbrella over most of the residential area. Speaking of Mother Nature, let’s talk about her most majestic contribution, just on the outskirts of town. 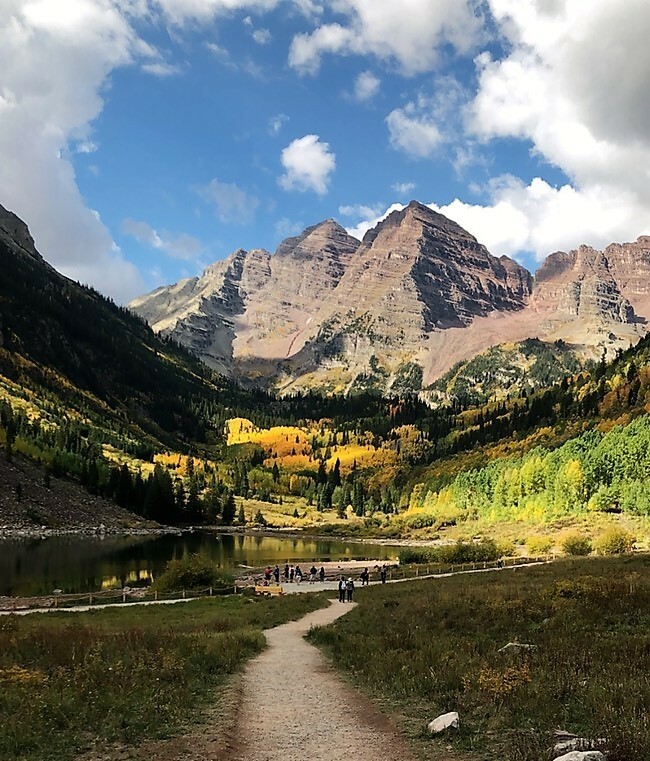 No visit to Aspen is complete without a trek to Maroon Bells. The Maroon Bells – common knowledge to us Coloradans – are twin peaks in the Elk Mountain range, fifteen miles to the west of Aspen. They get their name from their mudstone composition (a bright purple when the light is right) and from their broad profiles. The Bells are “fourteeners” – two of the fifty-three mountains in Colorado with elevations +14,000 feet. The approach to the Bells, through the Maroon Creek Valley with Maroon Lake in the foreground, lays claim to one of the most photographed locations in North America; no matter which direction you look. 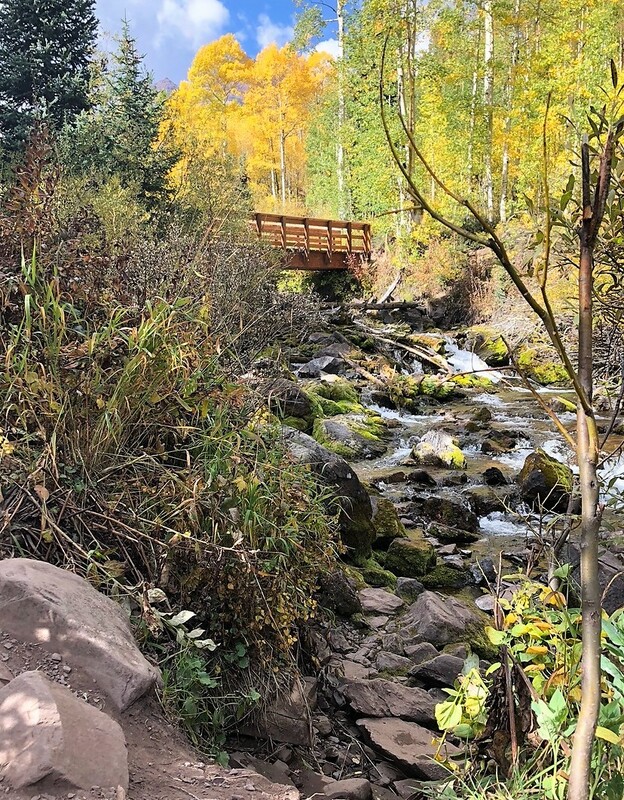 Remarkably (or maybe not – we all do this), we’ve lived in Colorado twenty-five years and never been to nearby Maroon Bells – until this past weekend. Despite the must-see endorsement of many friends, I was immediately suspicious when I learned we had to buy “tickets” for the place. Why tickets? Because the U.S. Forest Service (bless them) won’t allow cars – and their harmful exhaust – into Maroon Creek Valley. Instead, $8 gets you a twenty-minute propane-fueled bus ride from Aspen to the valley. The bus ride adds to the experience for two reasons. One, your driver gives an overview of the place, with just the right amount of history and sightseeing to keep your interest. Two, you don’t see the Bells – not even a passing glimpse of them – until just before you’re dropped off at Maroon Lake. Photographs don’t do the Maroon Creek Valley justice, let alone words. Breathtaking, jaw-dropping, heart-stirring – take your pick. Everywhere you turn looks like a doctored picture postcard. Everything looks undisturbed and peaceful – almost a sanctuary where you don’t belong. I lost count how many times I just stopped and stared. Add to that the brief late-summer window when aspen tree leaves change from green to a fiery shade of yellow, orange, and red, and the whole scene becomes surreal. The stuff of dreams. Kudos to the Forest Service for getting this experience right (score one for the U.S. Government!) As I was reflecting on the Bells, I couldn’t help but think of the very different approach to Mount Rushmore National Memorial in South Dakota. As majestic as the carved-in-stone presidents may be, they’re compromised by the several “sights” on the highway up the mountain (“Reptile Gardens”! “Very Berry Winery”! “Big Thunder Gold Mine”!). 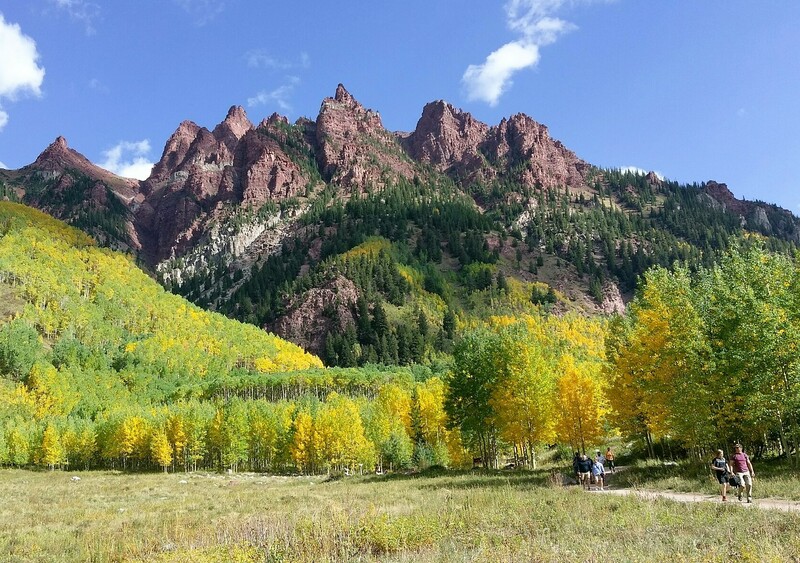 You won’t find any of those traps on the way to the Maroon Bells. Only Mother Nature at her most impressive. Some content sourced from Wikipedia, “the free encyclopedia”. This entry was posted in America, culture, memories, travel and tagged Aspen, Colorado, Maroon Bells, Rocky Mountains, skiing, surreal. Bookmark the permalink. Miss the mountains! Great post. It looks gorgeous, awe-inspiring and majestic! 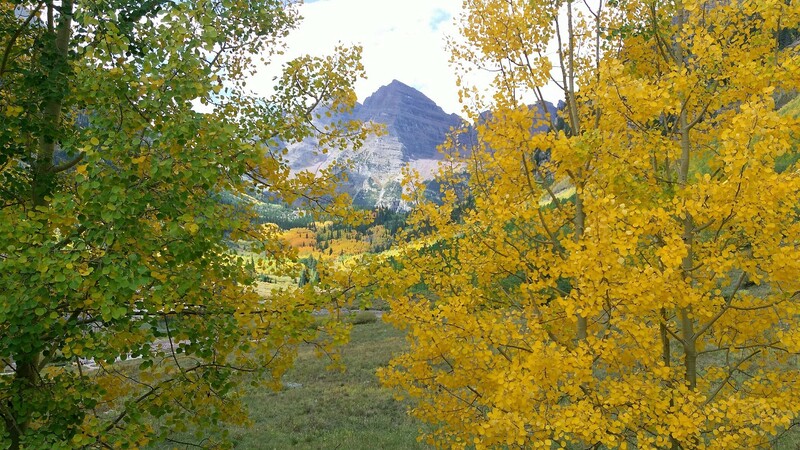 Agreed – it’s remarkable we didn’t include Maroon Bells in our trip four years ago. Same time of year! Then again, we wouldn’t have known to include the John Denver Sanctuary. Points for you.